Happy weekend everyone! I've been going out a bit much these past few days. Oh, I'm just stressed and been thinking about lots of things lately. Yeah, I'm an emo now. LOL. Kiddin' aside, I went out again tonight (Sunday) but it's a family affair so all's good. However, Sat night, I was actually out with a few good friends for some good talk with some good booze. Well, we're young aren't we? Let us be, please! Hahaha! So for the family affair I attended Sunday night, I decided to create a different eye makeup look than the usual. And I'm calling this look the Midnight Romance. Sounds very lit genius, no? Did I impress you? No? Okay. LOL. Anyway, the colors are perfect for a night out and it reminded me of the dark night sky, hence its name. First I did is to use the Jane Tinted Moisturizer as my moisturizer/foundation in one. I squeezed a few drops of the product at the back of my hand and applied it evenly using my fingers. Afterwards, I set the foundation with the Snoe Fresh Custard Face & body Powder. For the eyes, I used the NYX Long Pencil Eye in Dark Brown to fill in my brows. And now, let me tell you about how I did the color itself: First, I used the #1 Brown Shade all over my lids, as my base. 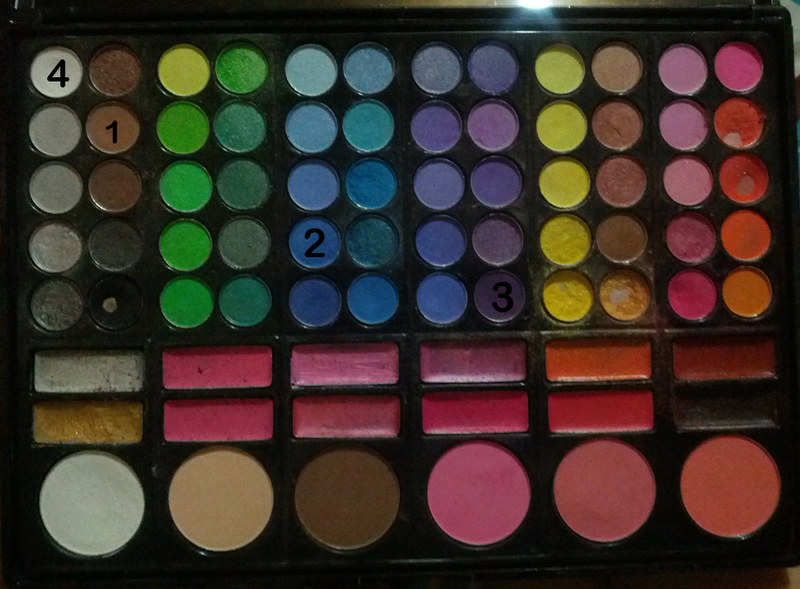 Afterwards, I used the #2 Blue Shade on my lids but not entirely covering the whole lid part. I didn't fill in the inner corner of my eyes. For my outer V, I used the #3 Violet Shade and blended it with the #2 Blue shade. For my browbone, I used the #4 White Shade. After the colors, I used the Maybelline Long Extreme Stiletto Mascara after curling thy lashes. For the lips, I swiped the Allue Lip Conditioner on my lips and then the MAC Satin Lipstick in Mocha. 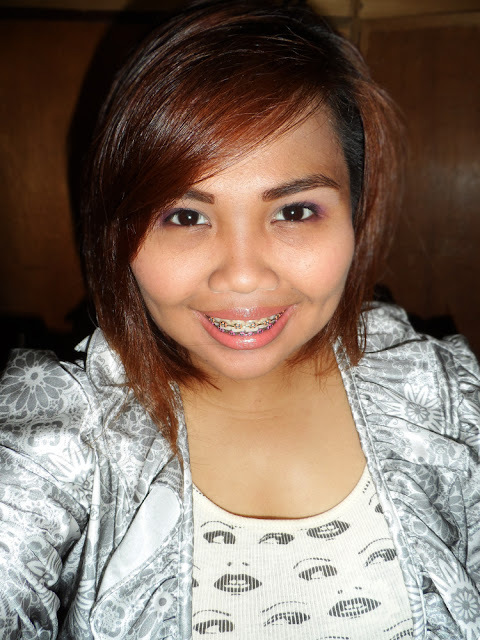 Afterwards, I applied the Ever Bilena Cheek Blush in Cheek, in a slantly upward position, on my my cheeks.